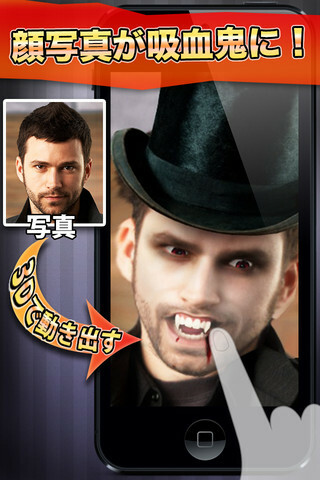 VampireBooth instantly turns you and your friends into 3D animated vampires! 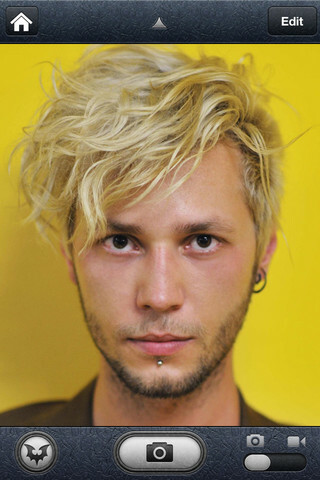 All you need is just one photo with a face. The vampire will move and show life-like expressions, and will respond to taps. Try touching its mouth (but don't blame us if you lose blood)! 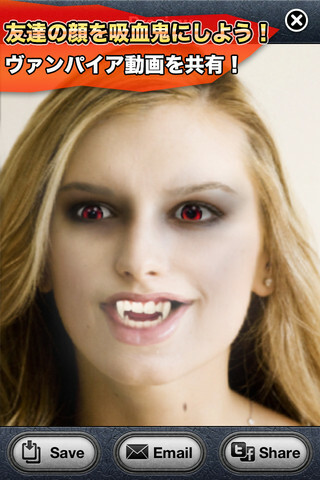 Make vampires from photos of you and your friends! Share videos and photos via Facebook, YouTube, Twitter, MMS, and of course email. ・Vampires will blink, breathe, and even try to bite your finger if you get it too close!